“The Card” Is Now Free! 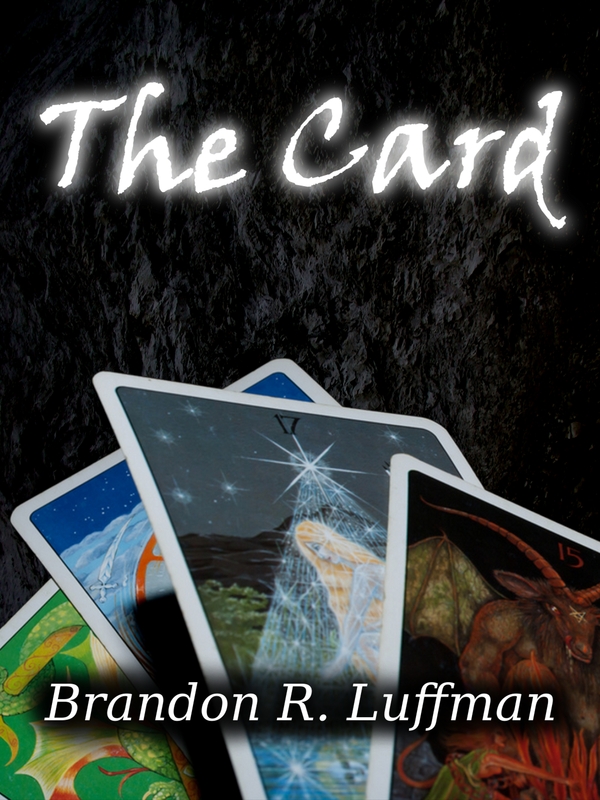 Just shy of two years ago, my short story The Card was released. The price point has been a steady 99 cents ever since. I’ve decided that now is a good time to transition this one over to free pricing. If you’ve been waiting for a good excuse to give it a read, now you have one! Free reading is always good! A couple of things that bear mentioning: First, the pricing has just now gone into effect at Smashwords. I use Smashwords for all of my distribution except for Amazon. So, if you prefer Barnes & Noble, Kobo, Apple, or any of the others aside from Amazon or Smashwords, it may take a little while for the price change to take effect at those “downstream” retailers. Second, the Amazon edition of The Card is released through their Kindle Direct Publishing platform. As such, it has a minimum price of 99 cents. I’m not able to set the price to free there. However, Amazon does have price matching! That’s why my other short, Out After Dark, is available for free from Amazon. Eventually, I believe they will do the same for The Card, but it may take some time. Also, please do tell your friends! I’d love to share this story with as many folks as possible, and you can help make that happen! UPDATE: Looks like the Kindle Edition on Amazon has been switched over to free as well! Nice! If you need that edition click here. Get My Books Free During “Read An E-Book Week”, March 2 – March 8! The ebook revolution continues! Books in digital format are still a bit new to some people. But, this portable, flexible, and connected new way of reading has taken the world by storm. If you’ve never read an ebook, now is your chance to give it a try – for free! Read An E-Book Week is an opportunity to pick from thousands of books for free and try ’em out. You don’t need to have a Kindle or any special hardware. Chances are, whatever you’re reading this on will work just fine. There are free Kindle apps for PC, Mac, Android, and Apple devices as well as other formats, such as PDF, that you can read on your computer, tablet, or smartphone. During this year’s Read An E-Book Week, I will be offering all of my works at Smashwords for free! This is a great opportunity to check out my pulp horror short story The Card if you’ve not read it before. If you really want to cash in, grab my survival horror novel Frostwalker and save $2.99! While you’re at it, my other short, Out After Dark is also free – but it’s always free at Smashwords anyway. During the event, head over to Smashwords, add my books to your shopping cart, and use the coupon code RW100 before you check out. It’s that simple! Just use the coupon code when you checkout at Smashwords and you’re set! Thousands of other books will be available for reduced prices or even free like my own. Take a look around and see what catches your eye! But remember, this event only runs from March 2nd until the 8th. At midnight (Pacific time) at the end of March 8th, the deals end – but the ebooks you get to keep! Take the plunge and get into ebooks – you won’t regret it! Well, this Blogger Book Fair has almost come to an end. You can still swing by the BBF site and see what events are still going on and catch the deals and giveaways, but you’d better act fast! As for my own part, you can check my previous post to see the guest posts that have been featured here on my blog, as well as links to the guest posts I did for other blogs. Also, my giveaway for a paperback copy of Frostwalker ends in just about 17 hours from the time of this post. I’ll include the giveaway at the bottom of this post so you can enter if you haven’t already. That code expires tomorrow, so this is a very limited time offer! I’d like to thank Kayla Curry, Fel Wetzig, and Pereza Thompson for managing what is a truly huge event. I’d also like to thank Michael Brookes, J.C. Martin, and Elizabeth Barone for both hosting guest posts from me and for providing guest posts of their own for my blog! Finally, thanks to you for stopping by! Now to get ready for the next Blogger Book Fair! Click below to enter the Frostwalker giveaway! The Summer 2013 Blogger Book Fair is well underway! Today (Monday), I hosted a guest post by Michael Brookes about writing fiction for someone else’s universe. Mr. Brookes has an interesting life, working in both fiction writing and the video games industry. Additionally, my novel Frostwalker was reviewed (and I was interviewed by) Jeann Wong at her Happy Indulgence Books blog, where she declared it so scary that “I had to make sure I was in a public place and surrounded by people and preferably in daylight at all times“! If you swing by and check out the review and interview, be sure to scroll to the bottom and enter the giveaway for a chance to win a paperback copy of Frostwalker! By the way, there is another blog review of Frostwalker that went live over the weekend. 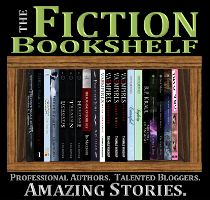 It’s not part of the Blogger Book Fair, but swing by IndieHeart and check it out! Also, the Reader’s Choice Awards are now live! I hope you’ll hop by and vote for Frostwalker in the Horror category, and The Card in the Horror Short Story category. Be sure to swing by the main Blogger Book Fair site (linked above) and see what else is going on around the fair!